Remember Hard Gay? The hardly gay Japanese comedian who dresses in leather, plays up stereotypes, and yells, "Fooohhh!" 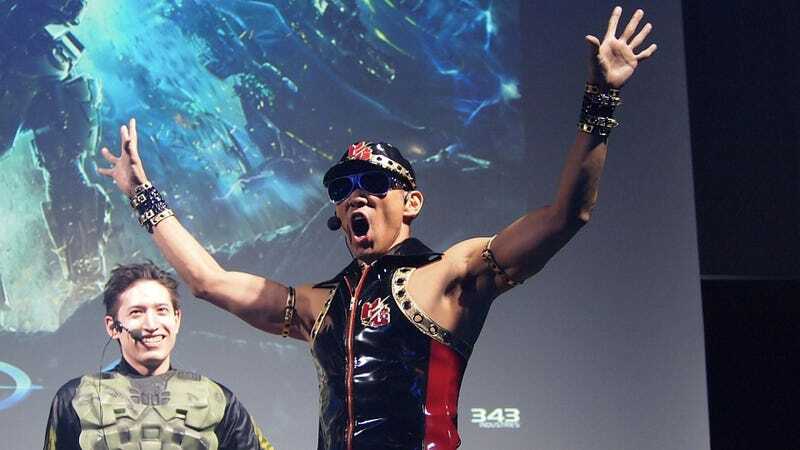 The last we saw of Hard Gay, whose real name is Masaki Sumitani, was at a Halo 4 event in Japan during fall 2012. Sumitani hit it big in Japan way back in 2005 and has kind of dropped off the map ever since, only popping up on television every once in a while. Recently, he was on a variety show that had celebrities show off their art skills. Have a look below. He's quite talented. Fooohhh sure.